ArcherDX said today that its next-generation sequencing (NGS) assays will be used by Ambry Genetics to provide biopharma sequencing services to biopharmas, through a collaboration whose value was not disclosed. ArcherDX said its Archer Immunoverse and VariantPlex NGS assays will be used by Ambry toward offering its biopharma customers large-scale immune repertoire analysis and chimeric antigen T-cell receptor (CAR-T) manufacturing characterization and pharmacodynamics. 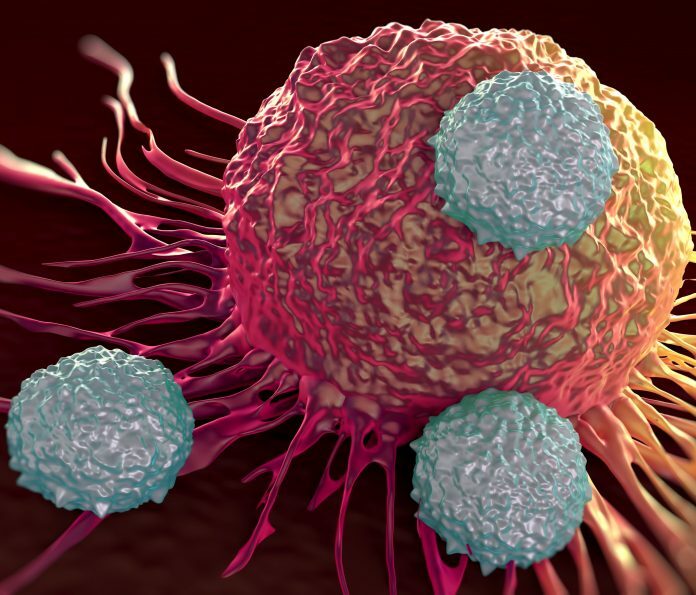 Both assays apply ArcherDX's patented Anchored Multiplex PCR (AMP) technology and will target B- and T-cell receptor complementarity-determining regions to assess quantitative changes in the immune repertoire, the company said. The technology will also target CAR-T vectors to investigate the engineered T-cell repertoire over the course of autologous CAR-T cell manufacturing and treatment. In addition, Archer said, its assays will be used for mapping the diversity of CAR-T integration sites, and estimating both the transduction efficiency and copy number of integration events. “The ability to characterize CAR T-cells at this resolution provides an unprecedented level of quality control to the T-cell engineering process,” Phillip Gray, Ph.D., Ambry’s VP of advanced genomic services, said in a statement. Archer Immunoverse kits are targeted NGS assays designed to characterize the human immune repertoire from RNA input. The lyophilized kits are intended to tag and amplify V(D)J rearrangements for sequencing on Illumina platforms. Sequenced libraries are analyzed using the Immune Repertoire pipeline in Archer Analysis, designed for clonotype identification and frequency reporting. Archer’s VariantPlex NGS assays are designed to apply next-gen sequencing to detect copy number variations (CNVs), single nucleotide variants (SNVs) and insertion and deletion alterations (indels). VariantPlex NGS assays are designed for Ilumina’s MiSeq v2 and v3, as well as NextSeq 500/550 platforms. The assays consist of five catalog kits— myeloid, core myeloid, solid tumor, comprehensive thyroid and lung (CTL), and cystic fibrosis transmembrane conductance regulator (CFTR) gene—as well as four predesigned panels deliverable in 3 to 4 weeks, BRCA1/2 +/- PALB2; AML Focus, solid tumor focus, and p53; and hundreds of custom panel assays. “Immuno-oncology is the fastest growing segment within the pharma-oncology field, and Ambry is excited to offer ArcherDX's innovative technologies to accelerate the development of these promising new therapies,” Dr. Gray said. The collaboration comes nearly a week after ArcherDX closed on $35 million in Series A preferred financing. The company said March 20 that it planned to use the funding to support rapid commercial growth of its targeted sequencing assays, in part by scaling its oncology-focused CDx co-development program. Other priorities for supporting rapid commercial growth cited by ArcherDX include expanding its domestic salesforce, increasing its international commercial operations, and continuing to invest in its in vitro diagnostic pipeline. Boulder Ventures and PBM Capital Group co-led the financing, with participation by two new investors, Longwood Fund and Peierls Foundation. Kyle Lefkoff of Boulder Ventures has joined ArcherDX’s Board of Directors.